Im Yoona (윤아) ~ smtownsnsd.com - Girls' Generation / SNSD Daily Updates! Widely known as the “center” image of SNSD thanks to her immense popularity among Korean public. Age-wise, she’s also placed in the “center” of SNSD; Seohyun (born in 1991) is a year younger than Yoona (born in 1990) and the other 7 members are one year older and considered as same-age friends (born in 1989 and Sooyoung in early 199o). 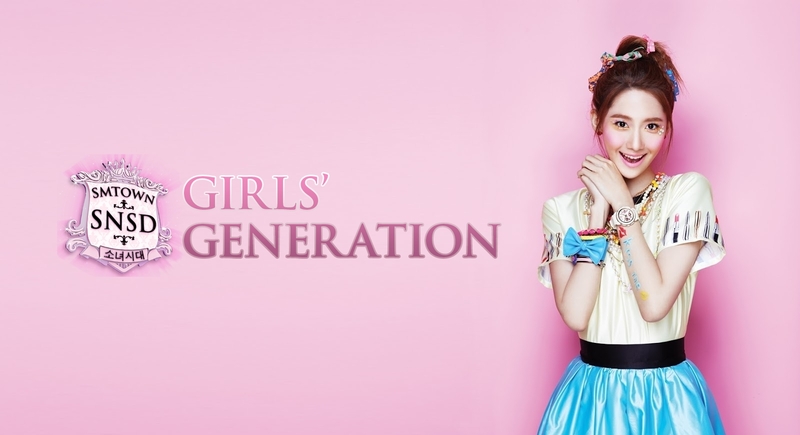 The physically strongest member of SNSD, gained her a nickname Him Yoona (strong Yoona). Despite her sweet girlish image, Yoona is actually boyish. One of her well-known nickname is Im-choding (elementary-school boy Im). Being the the second youngest of SNSD doesn’t stop her to be one of their biggest prankster. SNSD’s second biggest eater after Sooyoung. Her claim-to-fame was the hit daily drama ‘You’re My Destiny’ which ratings peaked at 41% viewership. The drama was also her first time as a lead in drama. The said drama also gained her popularity among ahjumma (middle-aged women) in Korea. Yoona is a fan of Takuya Kimura. Yoona claimed that she has more confidence in dancing and acting rather than singing. Yoona likes to play bowling in her spare time. Nicknamed as ‘Alligator Yoong’ because she laughs with her mouth wide open, resembling an alligator. Often picked as the ideal girl by numerous Korean male and female celebrities.